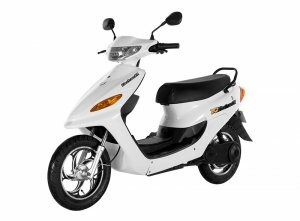 Eco-friendly, economical, safe and convenient - YO ELECTRON is the next generation electric scooter! Enhanced with some robust features, this e-scooter is the best two-wheeler of its time. Available in four different colors, YO ELECTRON comes with brilliantly designed body and graphics. As this electric scooter doesn’t require any fossil fuel, it holds for zero tail pipe emission and hence, it is a zero-pollution vehicle. People are highly accepting the concept of electric scooters and highly appreciating their perks.